By Melanie Nathan, Feb 08, 2013. On Sunday, February 10 – just two days before President Obama’s State of the Union Address – members of GetEQUAL DC will gather outside the White House to remind President Barack Obama of a first-term promise not kept. As he was running for president, then-candidate Obama pledged to extend workplace protections to all lesbian, gay, bisexual and transgender people employed by federal contractors, but has yet to deliver any policy to protect these vulnerable employees, who can be fired in over half the states in the country based simply on their sexual identity, and 39 states based on their gender identity or expression. President Obama could offer these protections today to 16 million people with the stroke of a pen by signing an Executive Order which would protect anyone employed by a contractor who receives over $10,000/year in federal funds. As we approach the first State of the Union for the president’s second and final term, GetEQUAL is reminding the president to keep the promises he made that will not only help boost our suffering economy but protect millions of workers and families. GetEQUAL is a national, civil rights organization fighting for the full equality of lesbian, gay, bisexual and transgender people in the United States. Emphasizing direct action and grassroots people power, the mission of GetEQUAL is to empower the LGBT community and its allies to take action to demand full legal and social equality, and to hold accountable those who stand in the way. 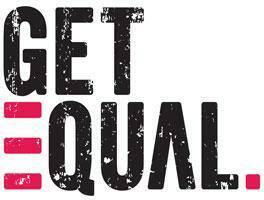 For more information on GetEQUAL, please visit: http://www.getequal.org. You can follow GetEQUAL on Twitter at http://www.twitter.com/getequal, on Facebook at http://www.facebook.com/GetEQUAL, or on YouTube at http://www.youtube.com/getequal.